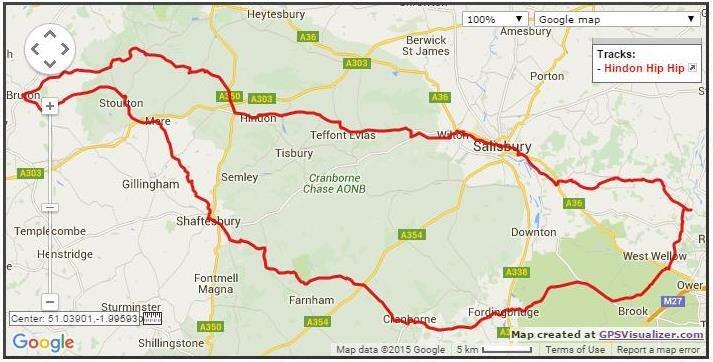 170km cycling event starting from Awbridge, Nr. Romsey, Hampshire. Controls at Bruton, plus 2 information controls. 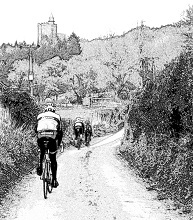 One of the organiser's favourite rides, on quiet roads through Hampshire, Wiltshire, Somerset and Dorset, primarily in Cranborne Chase AONB and the New Forest National Park. Village hall start and finish with light refreshments provided at the start and more extensive options on your return!